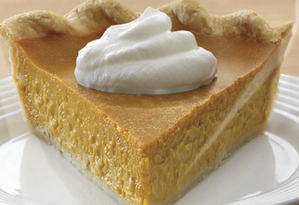 Pumpkin Pie - Fig Food Co.
Preheat oven to 425°. Combine soymilk, vanilla extract and ground flax seed in blender, mix and let stand for 15 minutes. Add remaining ingredients, and blend until smooth. Pour into crust. Bake 10 minutes at 425°, then reduce oven to 325° for about 60 minutes or until filling is set. Set on wire rack to cool, then refrigerate overnight. Smile. Great vegan pie recipe! This came out delicious. Greetings! I have two inquiries: First, can one use unsweetened almond milk in lieu of soy milk? Secondly, if I want a crustless pie, what would you do to achieve this & not have it stick to the pan? Thank you so much for your assistance! The recipe looks wonderful. Yes, unsweetened almond milk can work. For a crustless pie, you might try brushing or spraying the pan with oil. Great recipe, but it is a shame to mix a GMO product, soymilk, with wonderful organic foods! Try one of the nut milks; coconut, almond, etc. Organic soymilk is not a GMO product and contains great nutrition. But nut milks can be great, as well, just ensure they do contain real amounts of nuts and not too much sugar.